The weather is still cool, but there is moisture in the air and plants all over are coming out of their dormancy. 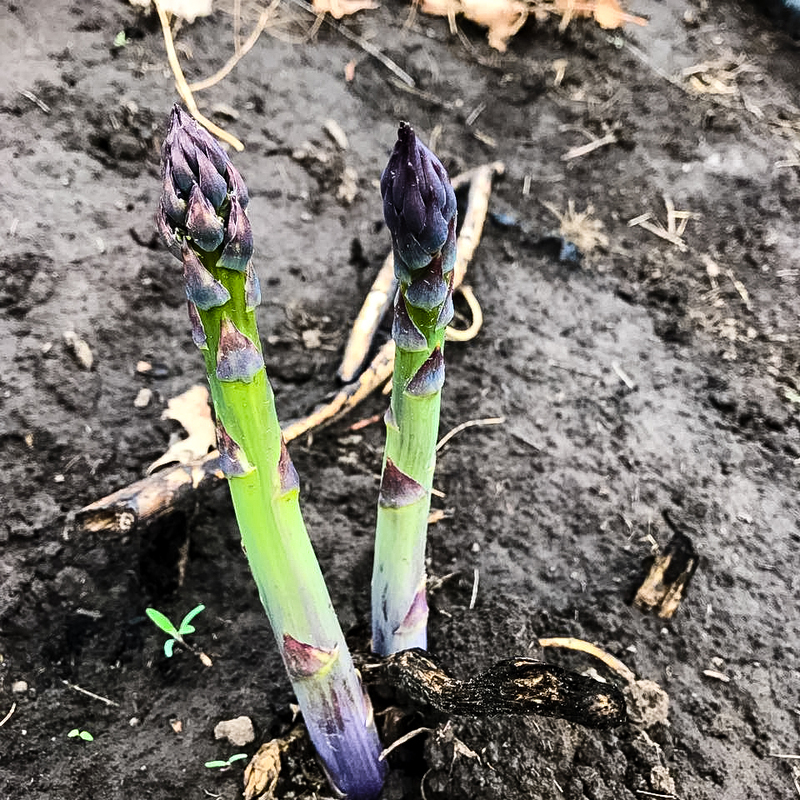 Our asparagus is up and we are harvesting everyday. We have been tilling the fields and preparing the beds and harvesting lettuce and chard from our hoop houses. 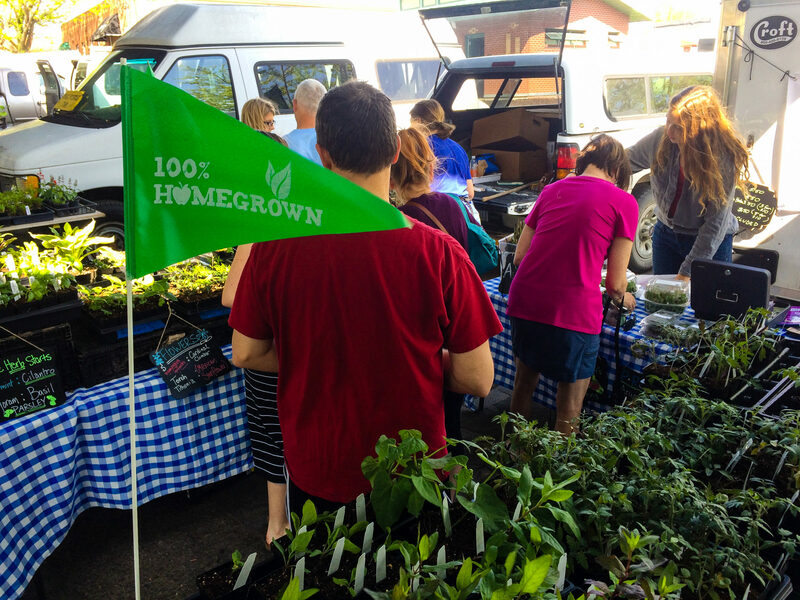 We began selling produce and organic plant starts at the Overland Park Farmer’s Market. This year is our first year as a vendor. So far it is fun and there are a lot of people who come out. 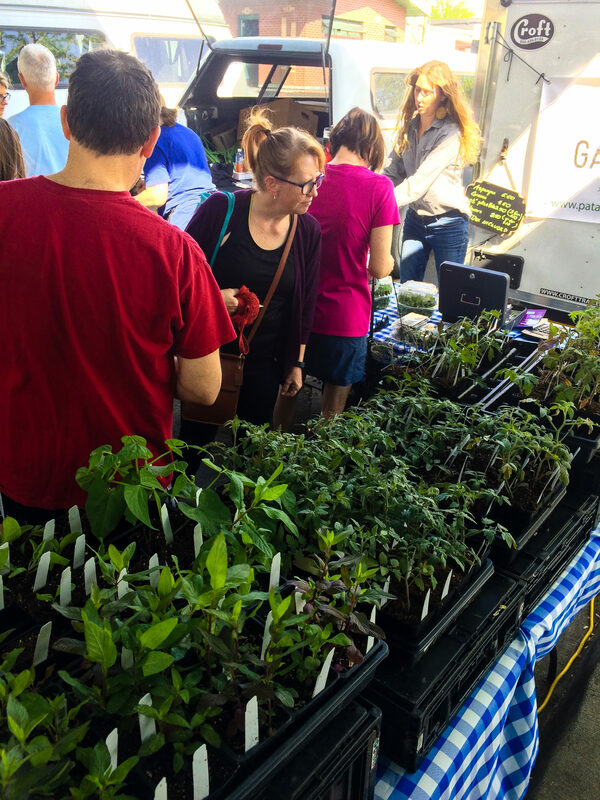 Our favorite part of the market is being able to give people tips about how and where and what to plant. So if you visit us there don’t be afraid to ask. Jane loves plants and enjoys sharing her knowledge with others. This is a time of fresh beginnings and the first returns for our efforts. A feeling of possibility is blossoming.